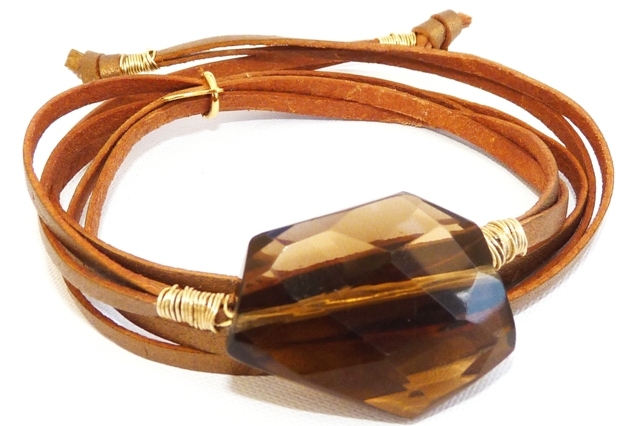 BRONZE METALLIC LEATHER WRAP AROUND BRACELET WITH GOLD METAL DETAILING AND A SINGLE SMOKY QUARTZ GEMSTONE NUGGET. **THIS ITEM IS NOW 20% OFF. ORIGINAL PRICE WAS $150.